Back to School Lunch: Yeah, it’s really that time again! We’ve written a lot of blogs over the years about school lunch. But, it’s that time of year again. With students heading back to school everywhere across the country, we want to give parents all the tools they need to pack nutritious and yummy meals for their kids! This year, we’re focusing on R.A.W. foods! R.A.W. actually stands for Reducing America’s Waistline. But, the whole idea refers to ‘getting back to the basics’… cutting out the things that are hurting our bodies and focus on the things that help our bodies. Keep an eye out for your Fall 2012 NCES catalog for all of the new R.A.W. products! Don’t get one? Request your FREE copy here! What are you packing in your student’s lunch? The types of foods that you’re packing are probably the most important aspect to remember when you’re making lunches for your family. 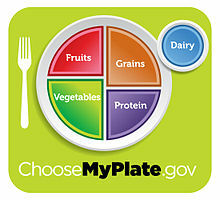 Picture MyPlate when you’re packing, and always remember to fill half your plate with R.A.W. fruits & veggies. So, start by packing fresh vegetables. Try to be creative though… the last thing you want to do is turn your child off to the idea of veggies because they are forced to eat ones they don’t like the taste of. Most kids will enjoy the taste of carrots, fresh broccoli and cauliflower. If it helps, don’t be afraid to provide them a dipping sauce like Light Ranch. But, you have to be responsible for controlling the amount. Only send one serving so they don’t overdo it. Also be sure to include foods from each food group. Along with your vegetable, pack a whole wheat grain, a lean protein, dairy and fruit. All of these foods contain vitamins and nutrients that will help your student perform better in school, both physically and academically. How much are you packing in your student’s lunch? Portion control is important, even for kids. As a matter of fact, it is especially important at this age because we are helping to create habits that kids will remember as they grow. Pay attention to the suggested portion sizes of the foods you’re packing. Remember, there really is no limit to the amount of fresh vegetables you should eat. So, if after packing all of the other elements (according to portion recommendations), you feel like your student will still be hungry; fill the rest of the lunchbox with fresh vegetables and fruits. Coming up in the Fall 2012 catalog are “Easy Lunchboxes”. Pack lunches fast with these sturdy and reusable containers; great for work, school or travel and perfect for both children and adults. They are dishwasher, microwave & freezer safe and made of non-toxic, food safe polypropylene (PP). 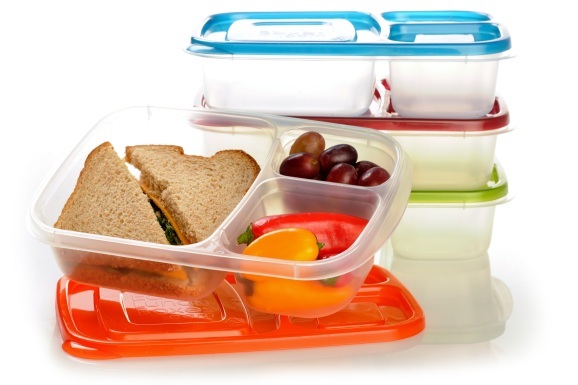 They are also BPA, PVC & Phthalate free. It doesn’t get much better than that! These lunchboxes are in the Fall 2012 catalog (hitting mailboxes soon) and will be available at www.NCEScatalog.com next week. Want to be the first to order yours? Send us an email at info@ncescatalog.com and we’ll let you know as soon as these lunchboxes are available for order! What do you enjoy packing in your kids lunches? We all learn best from each other! So, share your tips and tricks for successful school lunches here on our blog, on Facebook or on Twitter! We love hearing from you!